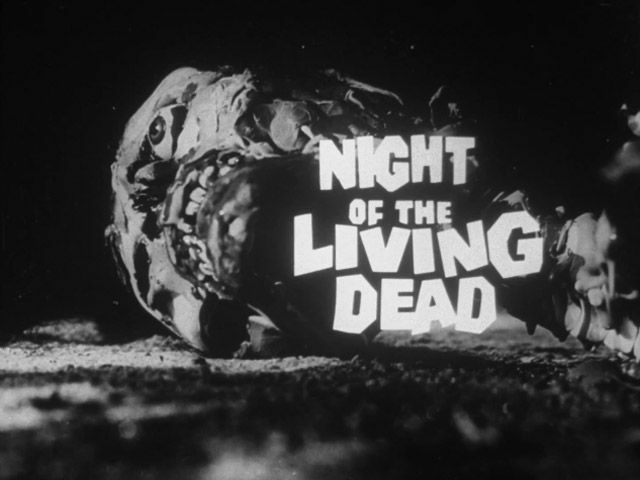 In the pantheon of zombie movies, Night of the Living Dead rightfully holds it’s place as the founding father. That doesn’t necessarily make it a good movie though. In fact, although the ingredients and founding principles for many a zombie movie to come are all present, it is clear that this is an early attempt to bring the concept to the screen and a lot of work would need to be done before zombies were the icon of the horror genre that they become. 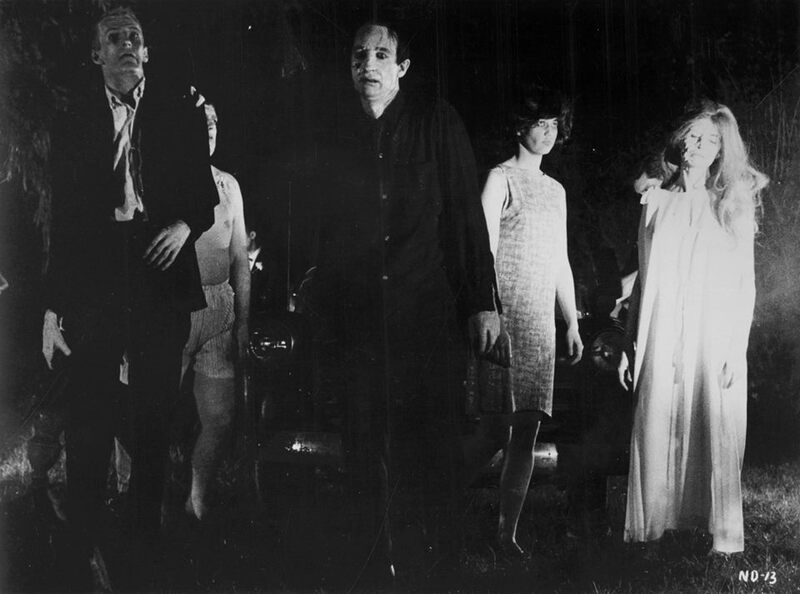 For starters, the “zombies” in Night of the Living Dead are not actually zombies. They are never called this and although they are the dead returning to life, they don’t seem to have any set rules or ideas about how this particular horror stable is supposed to work. It means we get shambling monsters who slowly but relentlessly pursue their pray but these can also use tools and have a fear of fire. If you’ve seen your fair share of zombie movies, this seems somewhat jarring considering how iconic this movie is supposed to be. This also means that Night of the Living Dead, a classic horror movie, is not actually that scary. The concept of zombies has always been the scary aspect but there is little to no tension developed here at all. Moments are predictable and telegraphed or the “zombies” are just ineffective and not really as fearful a concept as you’d imagine. The make-up, especially for the 1960s, is decent but even that feels tame compared to what we are used to today. As if in keeping with the Living Dead of the title, the movie also has a snail pace. Little of consequence happens for large chunks of the film. It boils down to people arguing in a small house while the “zombies” make little attempts to get in from the outside. It is due to a few poor choices that the movie has any sort of drama at all. When it does, there are moments of brilliance. A small girl in the basement brings horror of her own, while a getaway attempt involving petrol bombs and refuelling a car is both tense and shocking as events unfold. Unfortunately, these events don’t occur as often as you’d hope and Night of the Living Dead never feels anything more than a b-movie. Not that this is a problem but when some b-movie’s are fun for the poor effect and laughable acting, the acting here is just poor. There isn’t a discernible feature as people seem to scream at each other, change emotion on a moment and make ridiculous decisions. The only saving grace of the movie is heroic lead Duane Jones, who gives you a believable figure to root for. This isn’t enough though and you find yourself struggling to care about the fate of any of the characters aside from Jones’ Ben. Night of the Living Dead can’t be overlooked and shouldn’t be. The overall quality has suffered from better zombies movie being made but this is the template. The blueprints for what would become a hugely successful genre are all here, down to the best zombie director there is, George A. Romero, who would build from this and define the genre single-handed. Overall, Night of the Living Dead has not aged well. It doesn’t feel like a pure zombie movie, with little to scare or raise fear. The acting is poor, the creature concept muddled and the execution lacks pace. It is the beginning of a great genre of horror though and is worth a watch for that alone. It’s a zombie movie. You have to place it within the context of the time. Trust me, it was original and pretty shocking in the 1970s. The sequel, Dawn of Dead (1978), is probably closer to the zombie movies people are used to watch nowadays. Have you seen it? The remake I saw a while ago but not the original. Hoping to get around to watching it this month. I know in it’s purest form it is a zombie movie but it falls short of what we’ve come to expect that to mean now. I’m curious to see your reaction. Personally, I think the 1978 version is the best zombie movie ever made … make sure you watch the correct version. Romero preferred the 127 min. (theatrical) cut. I actually prefer the 137 min. (extended) version. Both are great — avoid the 116 min. (European) version! Wow! OK. Will be sure to get the right version (If it is available). Saw the 137 minute version. Was very good. Interesting to know what was added.